Commercial pressure washing is a service that encompasses a number of different settings including factories, farms, automotive and manufacturing. Many businesses need regular pressure washing in order to function correctly, due to the use of oils, greases or just because their vehicles, premises and equipment become dirty through everyday use. In this article, we will take a more in depth look at the importance of commercial pressure washing, and why hiring a professional Pressure Washing Flagler Palm company makes sense. For the most part, industrial and commercial pressure washers are a much more specialized piece of equipment, and are a lot more powerful (and dangerous) than the type you can buy at your local home improvement store. That is why it is important for this equipment to be manned by someone who knows how to use it safely and effectively, otherwise, you could end up with more problems than you started with. When it comes to professional commercial pressure washing Daytona Beach, the use of hot water is key, and it is often used in conjunction with cold water in order to gain the best results. There is also a lot of additional equipment and attachments that can be used to make the task of cleaning commercial properties much easier. 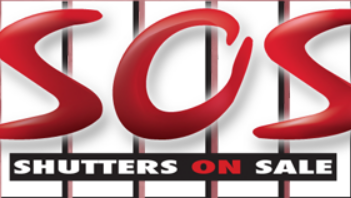 These items can include brushes, foam applicators, extension wands and much more besides. In addition to which, for really stubborn dirt and grime, or to prevent mold and mildew growth, additional cleaning and anti-fungal treatments can be added to the water for better and longer lasting results. Why use “Mr Pressure Washers’ Commercial Pressure Washing Contractors? 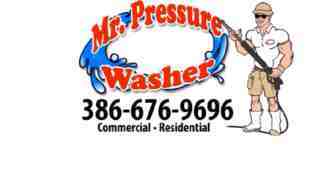 In most cases, it will not be economical or realistic to own and operate your own heavy duty pressure washing equipment, and it is a much better idea to employ the services of a commercial Pressure Washing Ormond Beach company instead. Pressure washing by a specialist company will be much more effective and quicker than if you were to try and tackle the job yourself. Specialist commercial Pressure Washing Port Orange providers will be able to handle even the most difficult jobs quickly and efficiently, no matter if it is the cleaning of vehicles, equipment or oil stained walls and flooring. They will have instant access to the latest and most powerful pressure washing apparatus, as well as the attachments and the cleaning solutions that are needed to complete the job. In addition to the benefits associated with having a home that looks neat and tidy and clean, there are also health benefits, as residential pressure washing is also an effective way to remove mildew and mold. Mold and mildew build-up is not only unsightly, but it is also capable of causing illness, especially if the spores are inhaled. Therefore, pressure washing is vital to maintain a healthy looking home and a healthy you. Dirt, mold and mildew can also hide structural problems that would go unnoticed if it was left in place. Making sure that the exterior parts of your home are free from fungi and mildew growth and dirt is vital in order to spot signs of damage, which could have serious connotations. The sooner that these problems are spotted, the sooner you can fix them, which can save you time and money in the long run. If you are planning to sell your home, then you have probably already heard the phrase, “curb appeal”. Curb appeal is making your home as attractive as you can to those people who are going to be interested in buying your home. Due to the fact that first impressions count for so much, a lot of real estate experts say that the better looking the home from the outside, the better chance you will have of attracting interest in your home. Therefore, keeping the outside areas of your home free from grime, dirt and mildew growth, can go a long way to speeding up the real estate process, by attracting more visitors and hopefully more offers. At the end of the day, your home is going to be one of the biggest investments that you ever make in your lifetime, therefore, it is important that you look after it and maintain it, and keep it looking beautiful and attractive. Unfortunately, it is often the job of unskilled employees to undertake the task of pressure washing the finished building, and they often underestimate the difficulty of the task at hand. In fact, the money that these contractors think they are saving by not hiring a professional post construction pressure washing company, can often be wiped away by the cost of putting right any mistakes and damaged caused. That is why it is important that you leave the job of cleaning up after a construction to a professional post construction pressure washing company such as Mr. Pressure Washer. In the post construction building there are many different types of surfaces that will need cleaning, and some will be more durable than others. It is these delicate surfaces that can easily become damaged when you trust the pressure washing to a non-professional, and this is something that could cost you a lot of money to rectify. When you hire a professional construction pressure washing company, you are getting people who know how to treat each surface with the respect it deserves, which will help to lower the chances of damage occurring. 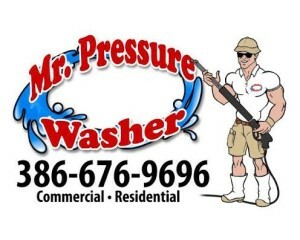 When you hire the services of Mr. Pressure Washer, you are getting a company that has years of experience in dealing with post construction cleanup, and using various types of pressure washing equipment and attachments to help them get the best results. A quick visit is all it will take to ascertain which methods of removing building materials from the trickiest of places, materials that could cause damage if not removed correctly. As you can see, there are many benefits to hiring a post construction pressure washing cleanup company, in order to tackle the removal of stubborn construction materials from your newly completed buildings.